Today we are trying out something new for tea! I don't know about you but I always struggle finding new things for tea that the whole family will eat! You may have seen my post a little while ago about making the pizza? Well today we are having Tomato pasta bake with meatballs. 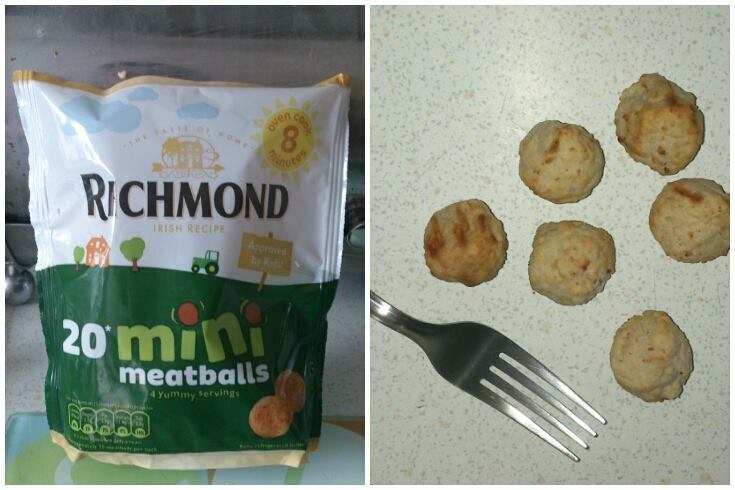 We are going to try out the new Richmond mini meatballs. I brought mine in Tesco's on offer for £1 but these usually cost around £2 and can be found at most supermarkets. 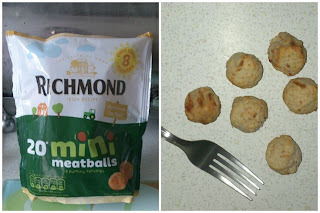 Richmond say this about there meatballs... "Our mini meatballs are made with the great home cooked taste and smooth texture of Richmond sausages, guaranteed to give you clean plates every time." The mini meatballs cook in the oven in around 8 minutes so great for a quick and easy tea! 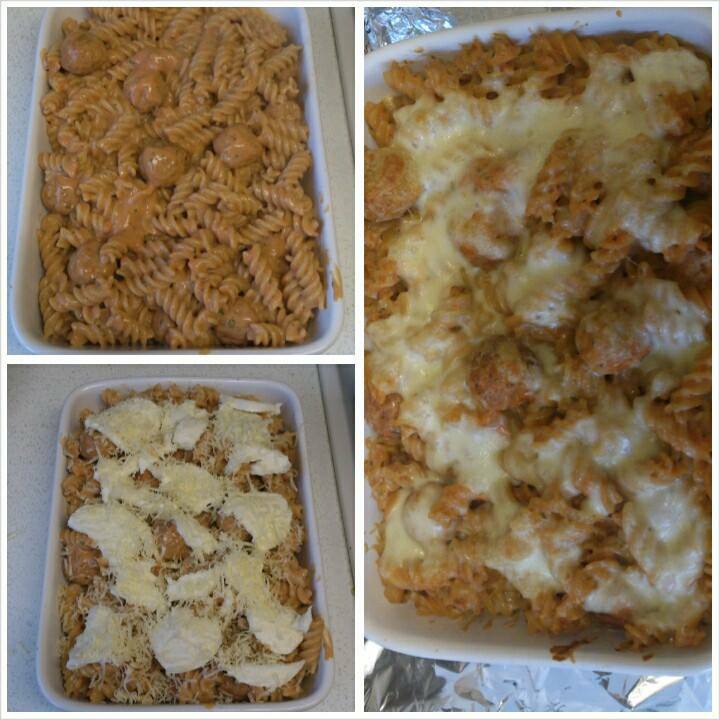 We served ours with pasta twists and a creamy tomato pasta bake sauce and garlic bread. The whole meal only took around 12 minutes to cook! 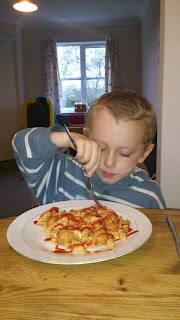 He loved the small size of the meatballs as there was no fiddling around trying to cut them up etc. he could just pick them up with his fork. is quite a small portion for an adult and hubby wasn't overly impressed with only having 5. However that aside the taste was delicious in the pasta bake and they seem to be quite versatile so I am sure they could be served up lots of different ways! All in all we found them to be a reasonable price and the family approved and we will definitely be buying again to try with a different recipe as these made a cheap meal and was quick to cook so was perfect for those days when you need to rustle up something for tea quickly. Wow that looks really good! I'm hungry now. lol. That dish you made looks really good!! That really do look delicious! I love mini meatballs, the kids prefer them as well. Your meal looks really good!